Hairspray is full of nasty stuff. It is coating your hair in plastic, in reality. Would you coat any other part of your body in plastic? I think not. Why should your hair be any different? 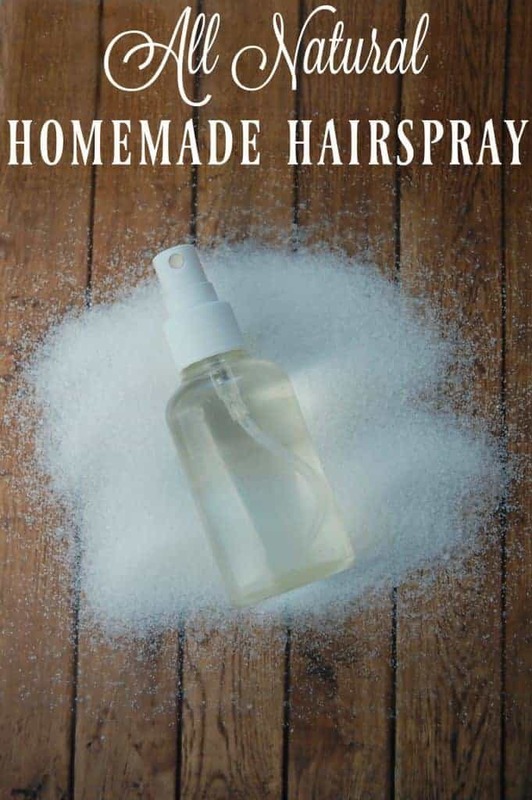 On my quest for natural hairsprays, I discovered I could make my own all natural homemade hairspray using ingredients that I already had in my kitchen! As it turns out, hairspray is not all that hard to make! No need for crazy ingredients. All I need is sugar! Who knew that a watered down simple syrup can work as a hairspray? If you doubt that sugar water can really act as hairspray, let me assure you it really and truly will work! Even if it didn’t you are only out what… two cents? 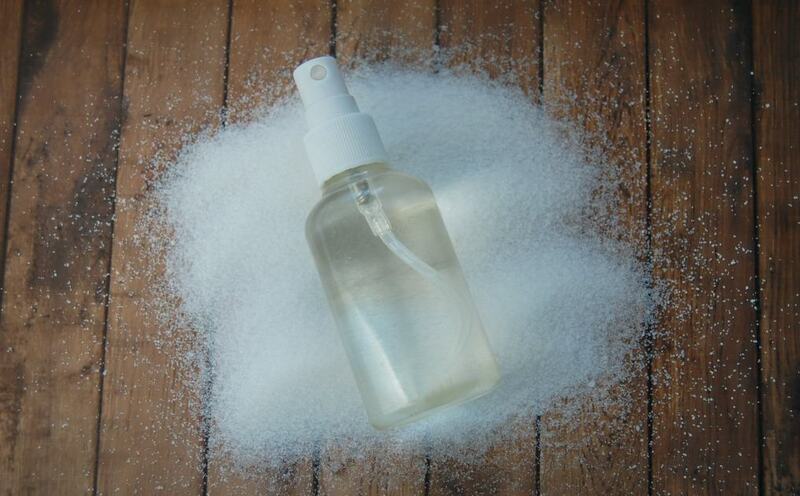 Because that’s how ridiculously cheap it is to make this all natural homemade hairspray. After heating the water, remove from heat, add sugar and the vanilla. Use like you would a normal hairspray. Replace when it no longer looks the same. If you need a stronger spray add more sugar. Although I can not imagine needing anything stronger as this stuff seems to work better then my old hairspray. If you want less hold then add less sugar. Simple! I do have one word of warning; as this is essentially sugar water, bees can be attracted to it. I have not had a problem yet but those with severe bee allergies should take care. Wow thanks! I am totally trying this. It might. I think if you do try it for spikes or mohawks that you might want to up the sugar a bit so that it's got a super good hold. Oh sorry about that last comment..I didn't read that last section! Hahahha Sorry!! Have you ever had an issue with bees being attracted to this?! I used to use a sweet smelling hair spray and I had to stop because the bees were attracted to it! Seems like this would have a similar effect? Have you ever experienced that? I wonder if you could research and find an essential oil that bees don't care for yet smells nice? I know peppermint repels spiders and mosquitoes yet when my mint plants bloom they are buzzing with bees. Never would have thought to make my own hairspray…definitely worth trying, even if it's a flop, you only spend pennies making it! Wow, it is amazing how simple this recipe is! The Shelf life varies a bit depending on if you use essential oils or extracts. Both of those add-in's can increase the shelf life. I usually keep my bottle for a month or so and have had no issues. I like it! Greetings! Thank you for your post. So glad I came across your article! I’m obsessed with zero waste blogs and such lately, and try to be even more concientious of the waste I produce and what product and food I consume. Where as I am nowhere near living a zero waste life, every little bit counts and I think we should all try our best to preserve the planet we live on. That’s great! I love zero waste living as well but like you am still a far cry from being truly zero waste. But ever bit helps.